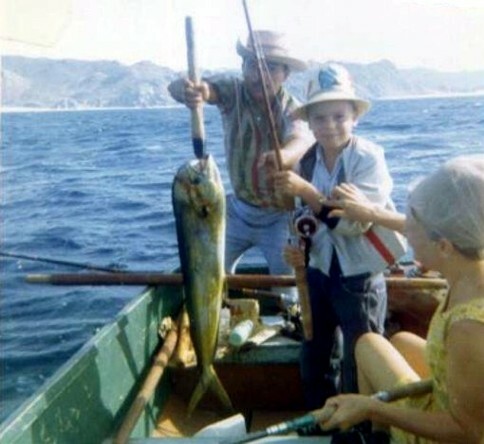 At 8 1/2, Baja was already a special place to me! 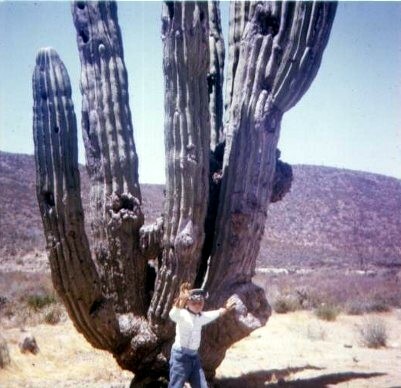 Here I am at the base of a cardon cactus, somewhere beyond El Rosario. 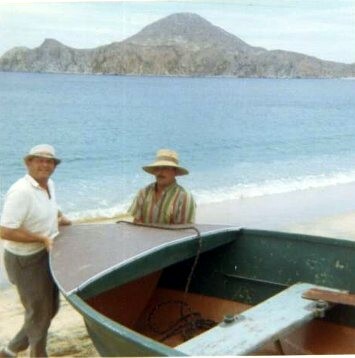 My dad and the panga owner who took us fishing at Cabo San Lucas. 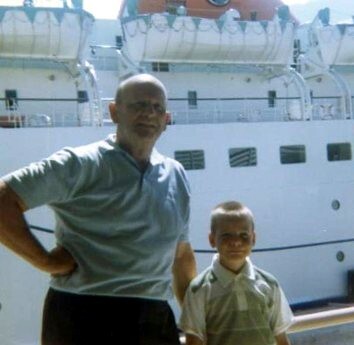 My dad (Ed Kier) and I at the new La Paz Ferry terminal waiting to board, for our trip to Mazatlan. 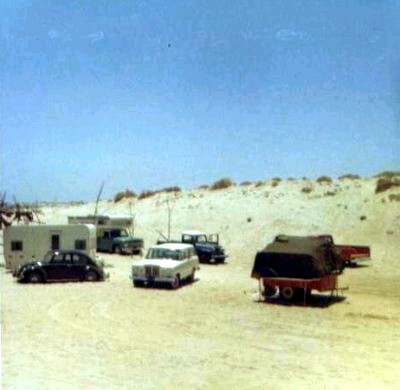 as well as Baja and Parker 400 off road races. 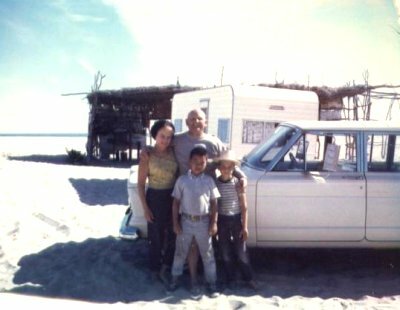 A small group of campers at Agua de Chale (Nuevo Mazatlan). 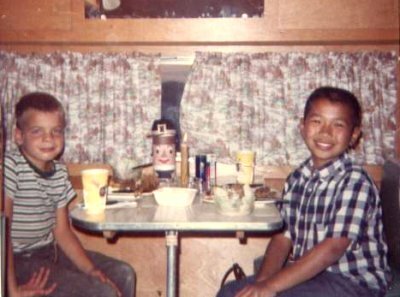 Here I am (age 10) with a school friend (Shawn Grover) at Nuevo Mazatlan. 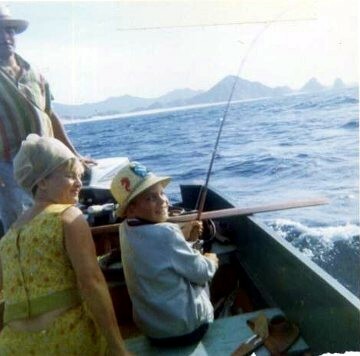 Mom, Dad, Shawn and I, at Nuevo Mazatlan in 1967.
this time the sand was too deep.